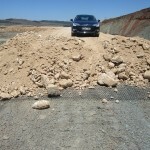 Here you have a real world example of geogrid use. 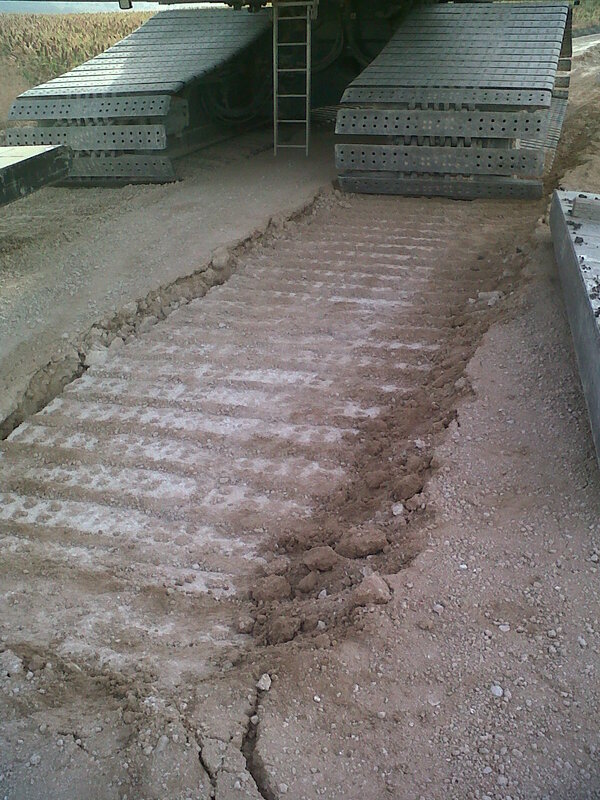 We are in a wind farm in southern Spain, and thanks to previous experience with this technology the client decided to use a Tensar Triax geogrid TX160. 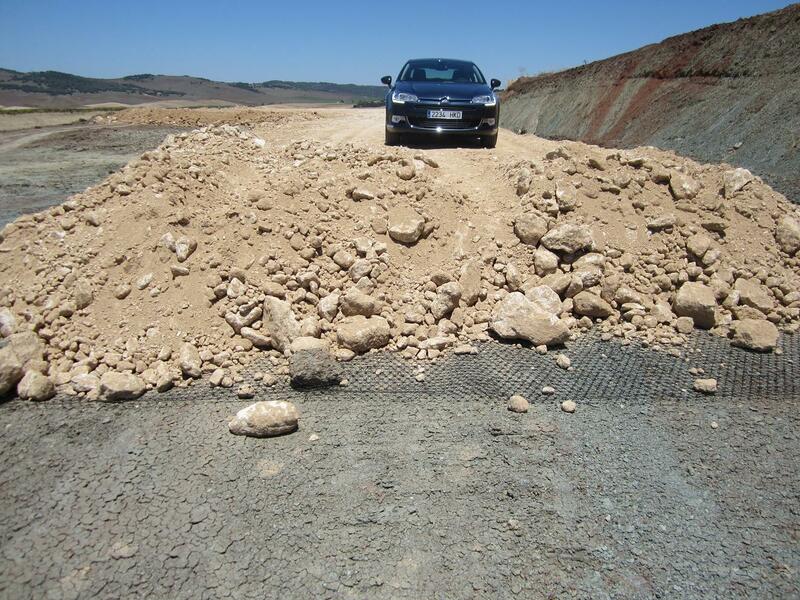 The same geotextile has been used in many wind farms (more than 100) around the world, with several big project in Germany and UK where in some cases more than half a million square meters have been used. 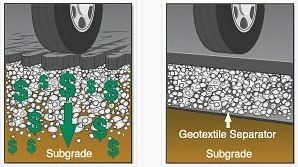 Often the soil was peat (turf), with a very low CBR (even less than 1). 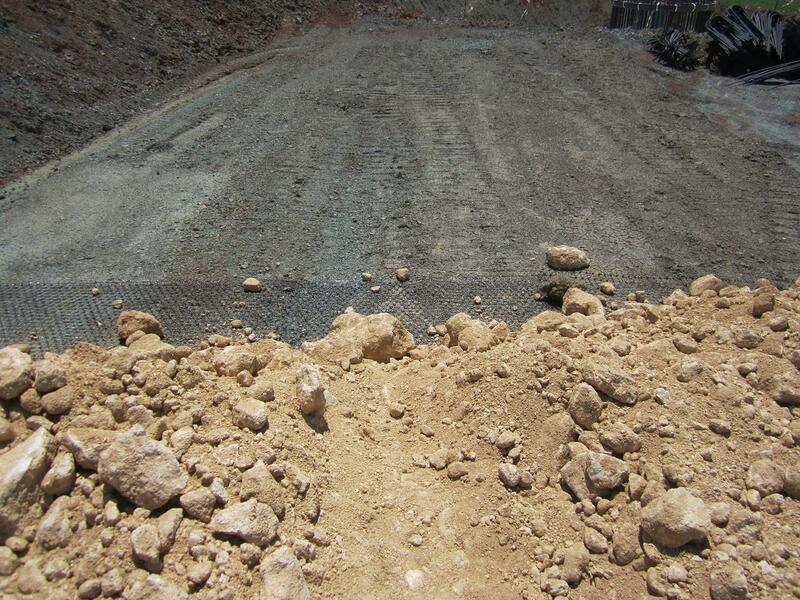 The saving in crushed stone using a geogrid can be around 30% to 40%, so with a price around 2-3 €/sqm it is normally a cost effective solution. 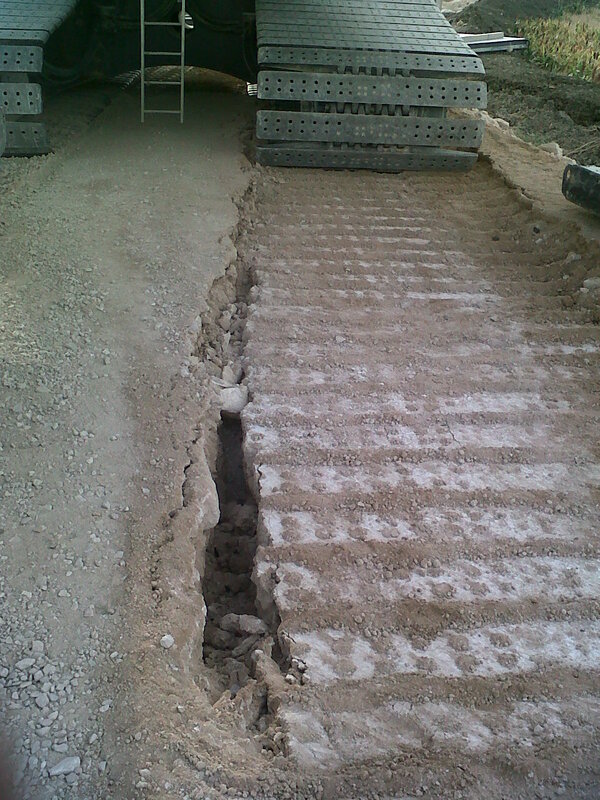 When we opt for this solution we’ve had helpful feedback and hints from Tensar, as they can study the existing info and provide a design based on the soil conditions and the available materials. There are several models available with a different triangular size, so it is not easy to choose the right model. 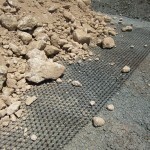 Geotextile vs Geogrid: which is the best solution? 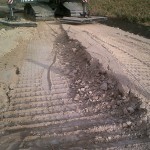 This is a debate we are living each time we have to build internal roads on soils with a low (<5) to very low (<2) CBR. 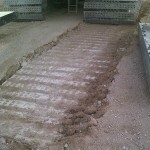 Basically when the others alternatives (mainly soil substitution and soil improvement) are not feasible we are adopting two different solution, either a strong geotextile with reinforcement and separation properties or a geogrid (coupled with a thin geotextile used as a filter if necessary). Presently both of them are working well, but only after many years we will know which one works best. I'm hearing very different opinion on the subject, so there is not an universal consensus. 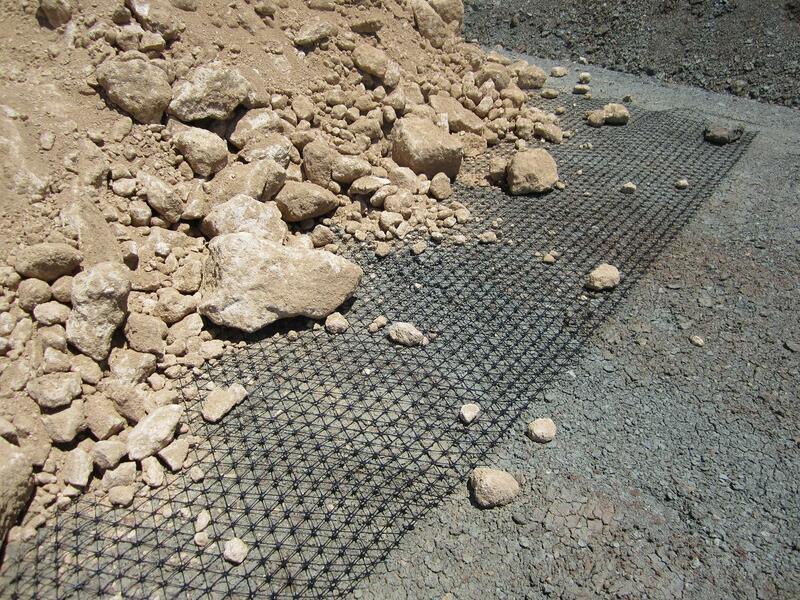 As geotextile, both woven and nonwoven alternatives seem reasonable. 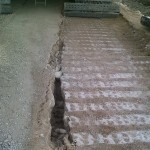 Both of them provides separation of the aggregate from the subgrade and have high tensile strength and modulus, adding reinforcement to the foundation soil. 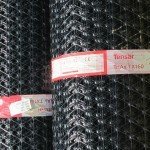 Right now the woven solution is widely preferred. 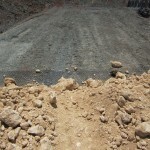 Regarding geogrid, it has been used in several wind farms all around Europe. 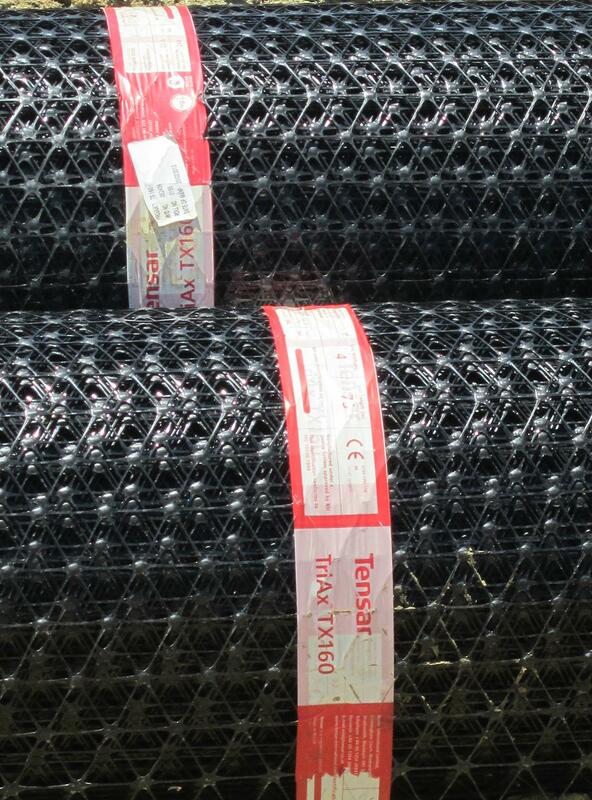 I had a meeting with the representative from Tensar, and their product looks interesting. 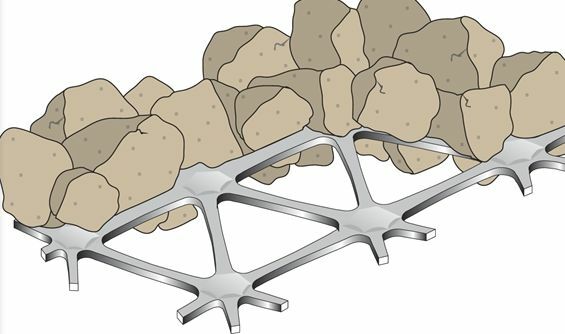 It is a triangular net, providing support to the stone aggregate. It works equally well in every direction. 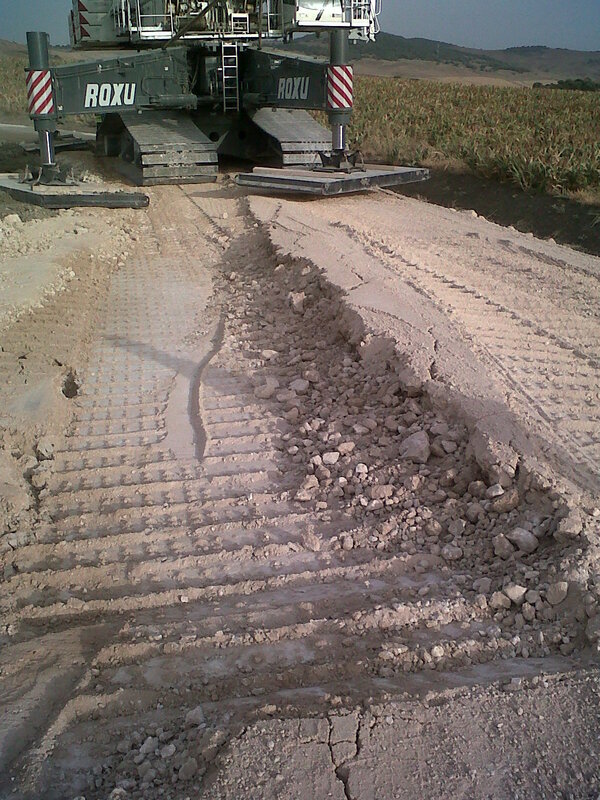 We have used it in Spain, and it have been used in several other projects in UK and Romania.